There are certain cars that everybody wants: Shelby Cobras, Jaguar E-Types and Porsche 356 Speedsters are on every list of blue-chip collectibles. 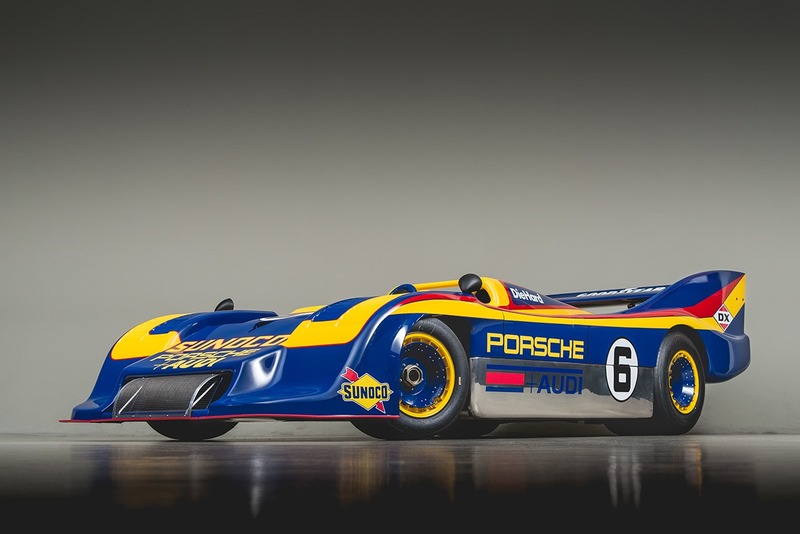 And since the law of supply and demand rules the collector-car market the same as any other, those same cars fetch strong prices in our world. But what if you thought outside the box and cast your eyes toward some less popular choices that still offer a terrific ownership experience? Even better, what if those cars still turned heads, but did so for less than the price of an SL Benz? Welcome to the world of oddballs. It’s a place we enjoy visiting. Over the years we have owned and restored plenty, from the TVR Griffith and Sunbeam Tiger to the Innocenti Mini and our extremely rare Tornado Typhoon, a ‘50s special based on common English Ford mechanicals. Here’s what we have learned: With an oddball, you’ll never pass yourself on the open road, and at car shows you are less likely to be pinned down by some self-professed expert. Instead, you get to take center stage, often with an inexpensive purchase. An oddball will attract attention, whether it’s at a local cruise-in or a national meet. It can also provide something new and different to tinker with, a fresh subject to research. There are old magazines to sift through, new friends to make, and newly discovered message boards to visit. Just figuring out what you have can be maddening. Case in point: Only after reupholstering our Tornado’s buckets with custom covers did we discover that we were working with garden-variety Sprite seats. Likewise, we never figured out the proper supplier for that car’s door handles, so we simply used something similar-looking that was intended for a Cobra. The prices for these cars and parts can be attractive—a rare part for a Shelby Mustang can fetch big dollars while a coveted item for an oddball can languish on eBay with little to no interest—but just remember: when it’s time to part with said oddball, the sale will most likely close at a lower number as well. 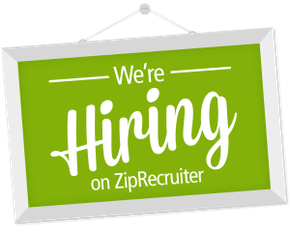 Ready to Find One of Your Own? If you’ve decided that the odd life is for you, we have a few recommendations to make. These are listed in no particular order, along with the salient pros and cons for each option and their more common equivalents. Once you start looking you may find, as we have, that the fun is not only in taking the road less traveled, but in doing so in a car that is less popular. 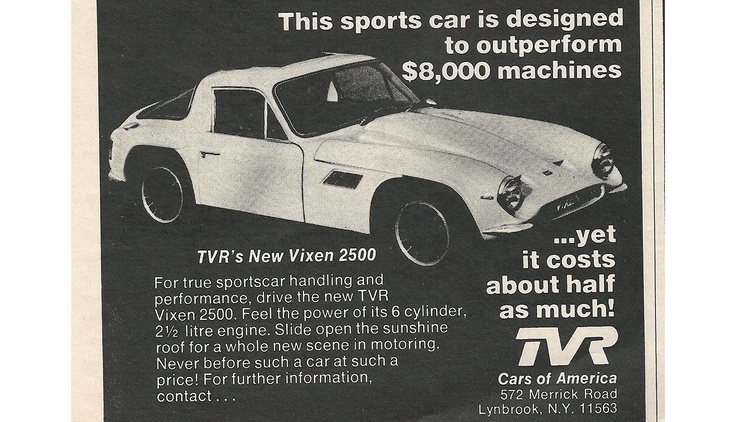 PRICE OF OWNERSHIP: Triumph TR6 money, more or less. WHAT IS IT? Back in the ‘50s, fiberglass was a new and wonderful building material. Good or bad, it allowed almost anyone to become a car manufacturer, with a cadre of companies offering their own bodies–some pretty, some that were less than refined. Several of these companies offered frames as well. Either way, the idea was to take a damaged, rusty or simply boring car and repurpose it with a sleek body. 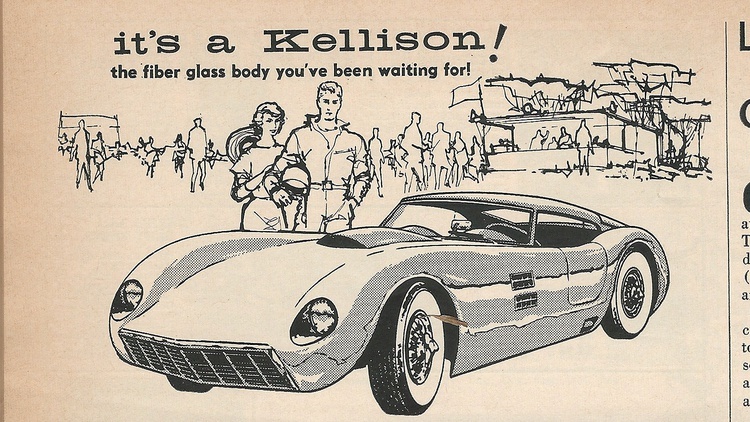 Common manufacturers included Devin, LaDawri and Kellison, while driveline donors came from all ends of the spectrum, from V8-powered Corvettes and Triumph sports cars to Volkswagen and English Ford sedans. 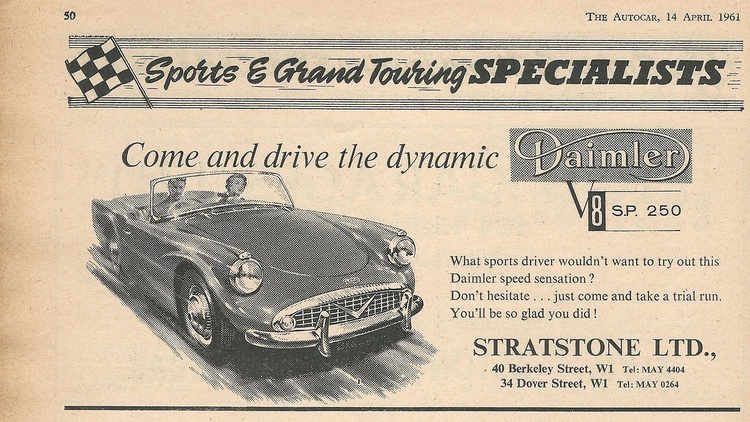 The Austin-Healey Sprite’s late-’50s arrival put a damper on the marketplace for kits and specials, since it meant an inexpensive sports car could be easily purchased. While kit cars are still being produced, their original heyday lasted until the ‘70s. 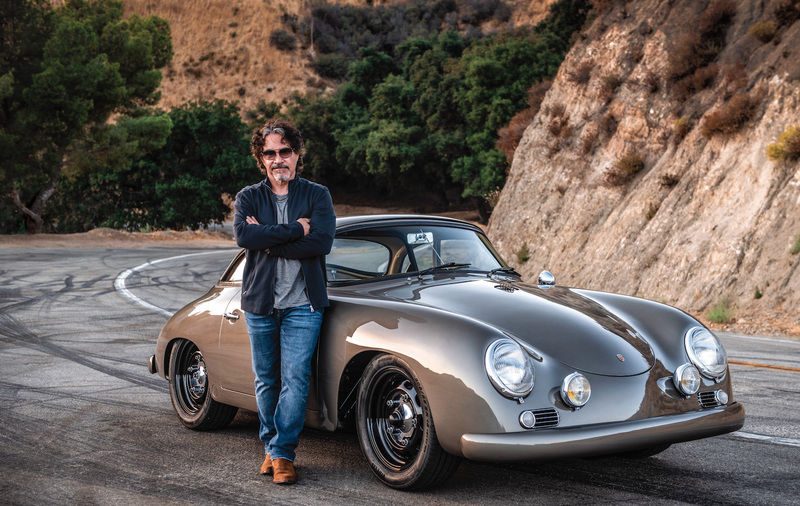 PLUSES: Many of these vehicles had cool, jet-age Speedracer styling, yet today they’re still inexpensive to build, own and repair–assuming you’re handy with fiberglass and fabrication. Interest is beginning to grow, as even The Amelia has started to welcome them. MINUSES: Some of these cars’ poor sales were due to marketing or financial blunders, but a lot were due to the fact that they were badly made, looked ugly, or just didn’t perform well. Parts can be difficult to find today, especially for anything based on an English Ford. COMMON EQUIVALENT: Sprite and Spitfire for British-sourced cars; Corvettes for the American ones. FINAL WORDS: If you took the money that you’d spend on a Corvette, MGB or Triumph TR6 and instead put it into a special, you could find yourself rubbing shoulders with some seriously rare machines. PRICE OF OWNERSHIP: About $10,000 buys a good one. Just before BMW’s much-loved E30 chassis went away, it received a shot in the arm thanks to a new twin-cam, four-cylinder engine. No, we’re not talking about the much-heralded M3, which now fetches a pretty penny. We’re talking about the 1991-only 318is, BMW’s addition of a lower-cost option to the model range. Today’s market is just starting to realize that this rare BMW sedan is a gem in its own right. PLUSES: The 318is is light, nimble, sturdy, simple and efficient. It also features effective a/c and is served by a huge after-market. Even today it makes a fine, practical daily driver. MINUSES: It’s not the fastest E30 variant offered, and not everyone considers it to be a true classic–yet. 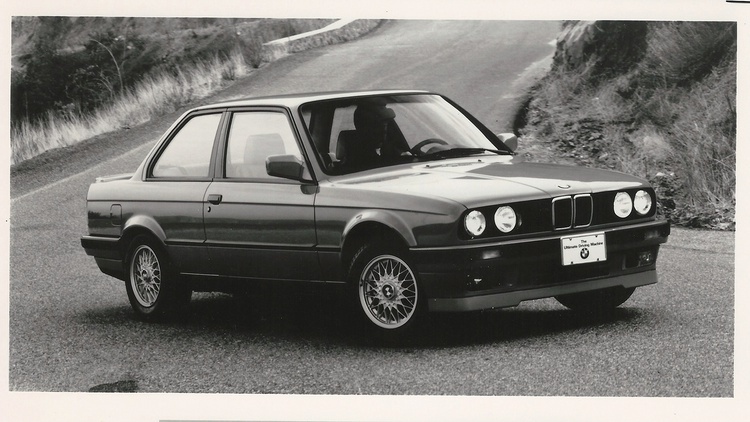 Although it was only available for the 1991 model year, BMW built a lot of them. COMMON EQUIVALENT: Volkswagen GTI or other E30-chassis BMWs. FINAL WORDS: If you are looking for an economical, usable near-classic that is appreciating in value, this might be the one. PRICE OF OWNERSHIP: Bring a Trailer says these seem to max out at around $25,000. WHAT IS IT? TVR has, often against all odds, soldiered on since 1947. They’re the little sports car company that won’t die, and at Goodwood this past September we saw the first signs of life the firm has shown in nearly five years. The Triumph TR6-powered 2500 M, built from 1972 through 1977, is the one that we really like. 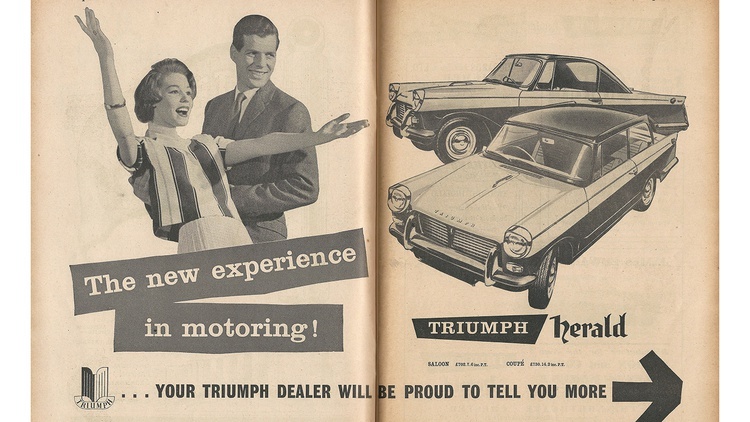 These cars look cool, feature easily serviceable Triumph mechanicals and, despite their rarity, don’t command a premium. PLUSES: Robust driveline, rust-proof fiberglass bodies, stylish design and simple construction. Good club support, too, for an oddball. MINUSES: The tubular steel chassis will rust. Some parts are getting hard to find, and there was no top-down option until later models. COMMON EQUIVALENT: Triumph GT6 or even a Datsun Z-car. FINAL WORDS: If you wished that Triumph offered a fiberglass TR6 coupe, then maybe this is the one. PRICE OF OWNERSHIP: Bring a Trailer recently had one go unsold at $21,000. WHAT IS IT? While all of the usual European suspects produced small, open-topped sports cars, do you know how many combined fiberglass bodywork with a Hemi V8? 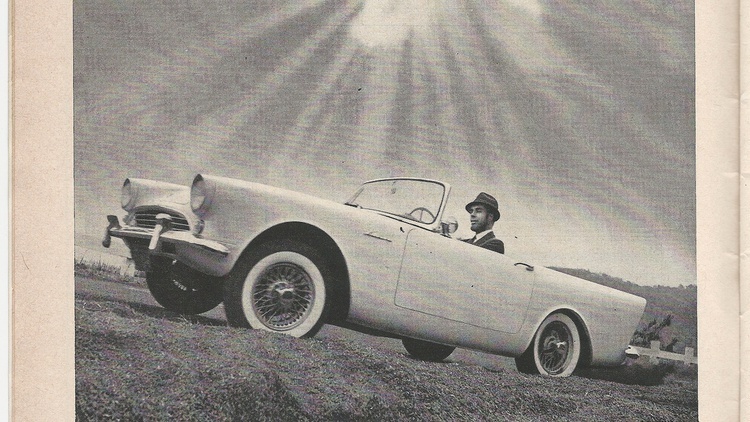 Just one, and it would be the Daimler SP 250. One small detail probably kept it from becoming a sensation: It’s not exactly the most beautiful car on the planet. In fact, as legend has it, when the SP 250 debuted at the 1959 New York auto show, it was unofficially voted the ugliest car there. And once cars started landing in buyers’ hands, the SP 250 was found to be a little too flexible, with doors that occasionally popped open. The awkward model lasted through 1964, although it never came close to sales projections. PLUSES: The SP 250 is certainly a head-turner–plus a fiberglass body means relatively easy DIY bodywork. And how can you not root for the underdog? MINUSES: Did we mention that it looks a bit weird? Also, parts can be rare. COMMON EQUIVALENT: E-Type Jaguar and, later, the Sunbeam Tiger and Triumph TR8. FINAL WORDS: Not sure if the SP 250 is worth your while? Leno owns one. PRICE OF OWNERSHIP: Hagerty says that the best ones are worth about $20,000. WHAT IS IT? Tail fins are just cool; attach them to a classic Benz, and they’re even better. The ‘60s-era Mercedes-Benz sedans, coupes and convertibles came with some of the best-looking fins ever attached to a vehicle. Small issue, though: These “fintail” coupes and convertibles command premium prices today, so our advice is to home in on the sedans, especially the six-cylinder variants. While they were once prevalent worldwide as taxis, today these cars are head-turners. Our favorite would be the almost sporty 230 S, available from the middle of 1965 through 1968. The 230 S delivers sprightly performance, room for four, and just the right dash of chrome. PLUSES: These are extremely robust, well-engineered cars, and are quite safe for the period, since they feature cutting-edge technology like crumple zones and proper seatbelts. The interiors wear like iron, and four-speed cars are not rare. MINUSES: They can rust, while some parts–like front-end components, dash pads and some pieces of trim–can be expensive. These are not fast cars, either, although they cruise well at low highway speeds. A fifth gear would have been much welcomed. COMMON EQUIVALENT: Perhaps a small American sedan from the same period. A Ford Falcon is about the same size, but won’t get the same looks. FINAL WORDS: These are comfortable, cool, usable classics. You can daily one or take it across the country. 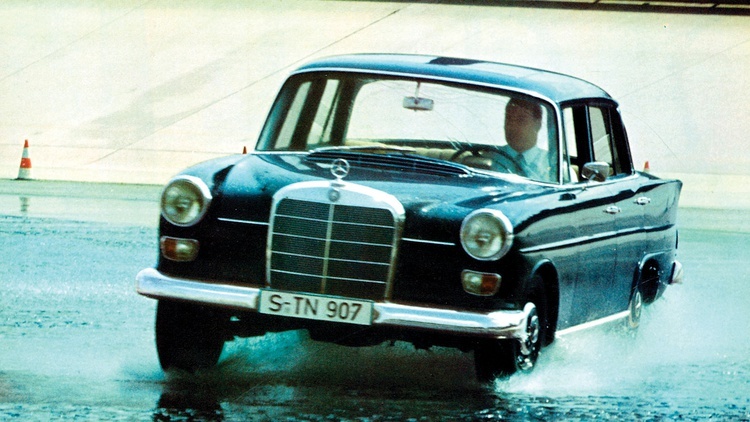 Mercedes-Benz made so many that we’d recommend holding out for a four-speed model with a floor shift. PRICE OF OWNERSHIP: We’ve seen okay ones sell at auction for less than $10,000. WHAT IS IT? Alfa Romeo’s coupes and convertibles defined the sports car scene of the ‘60s and ‘70s, but that same foundation was also slipped beneath the Giulia, their funky-looking, four-door sedan. Call the Giulia a practical way to enjoy twin-cam, five-speed motoring. 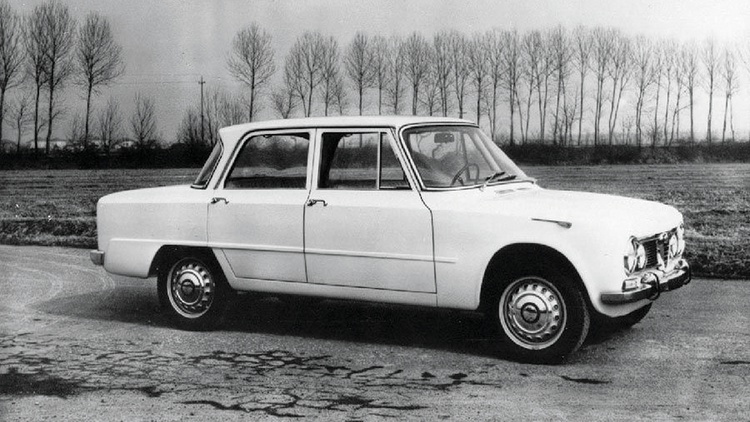 Giulia production spanned from 1962 through 1978, with Alfa Romeo offering several hotted-up variants over those years. Even the base car, though, is a rarity these days. PLUSES: Four-door practicality plus a great chassis, great brakes and a great engine. MINUSES: Never offered with air conditioning. Alfa nearly invented the concept of rust. COMMON EQUIVALENT: A Mercedes-Benz from the same period, like our 230 S, is close but doesn’t deliver the same performance. An Alfa Romeo GTV offers the same chassis but not four doors. FINAL WORDS: The Giulia is the head-turning Alfa alternative that commands a lower price. PRICE OF OWNERSHIP: Don’t expect to pay more than $10,000. WHAT IS IT? Again, wouldn’t you like a sedan that has the heart of a sports car? That’s the allure of the Triumph Herald and its upmarket sibling, the Vitesse, which both share a chassis layout with the Spitfire. The Herald came first, making its debut for 1959 and eventually coming in coupe, sedan, convertible and even estate body styles. The Vitesse followed for 1962, and here’s where things got fun: An inline-six replaced the Herald’s rather basic four. Triumph also gave the Vitesse a more aggressive face, one featuring four headlamps that slope in toward the grille. Triumph made a lot of these cars, though not many were imported stateside. The American-market Vitesse carried the Sports 6 nameplate, but it couldn’t compete against the booming pony car market. Worldwide sales lasted through 1971. PLUSES: Simple body-on-frame construction plus a flip-forward nose helps restoration and repairs. While the body parts can be rare in the U.S., the Spitfire mechanicals are still common. The cockpit isn’t wide, but there’s room to share the experience. MINUSES: That same body-on-frame construction also makes for rattles and cowl shake. Specialists cater more to Triumph sports car owners, so some Vitesse parts like interior and trim are getting hard to find. COMMON EQUIVALENT: An American pony car is really a different animal, so perhaps we should think of the Vitesse as a family-sized GT6. FINAL WORDS: The Herald and Vitesse offer unique looks with a practical shape. Overdrive and other upgrades are just a mouse click away. PRICE OF OWNERSHIP: Hagerty says to budget $29,000 for a concours 1959 Alpine. WHAT IS IT? In 1959 the Rootes Group introduced the Alpine, their answer to the popular sports cars from MG and Triumph. This was a sophisticated, well-appointed true sports touring car based on unibody construction. It was built to a higher spec, too, featuring a more luxurious interior as well as a tighter body. One thing, though: Its 1500cc engine didn’t exactly deliver exhilarating performance, although by the time the model run ended in 1968, displacement would eventually reach 1725cc. PLUSES: Unibody construction, plus build quality and attention to detail that were far and above the competition. Another bonus: major tail fins through 1963. MINUSES: The top mechanism is fussy, and the cars can rust. We’d also call the chassis a little unsophisticated. Thanks to the Tiger, some parts are now getting expensive; also, that premium, complicated bodywork can be expensive to restore. COMMON EQUIVALENT: MGB, Triumph TR4, Austin Healey 100-4. FINAL WORDS: In a sea of MGs and Triumphs, a fintail Alpine is a rare sight. PRICE OF OWNERSHIP: Hagerty says to budget about $32,000 for an excellent S600. WHAT IS IT? Honda’s second entry into the four-wheel market was their S500, a pretty, two-place roadster powered by a jewel-like 531cc engine. It only produced 44 horsepower, but could rev to 9500 rpm. The resulting effect was like a slowmotion Formula 1 car. 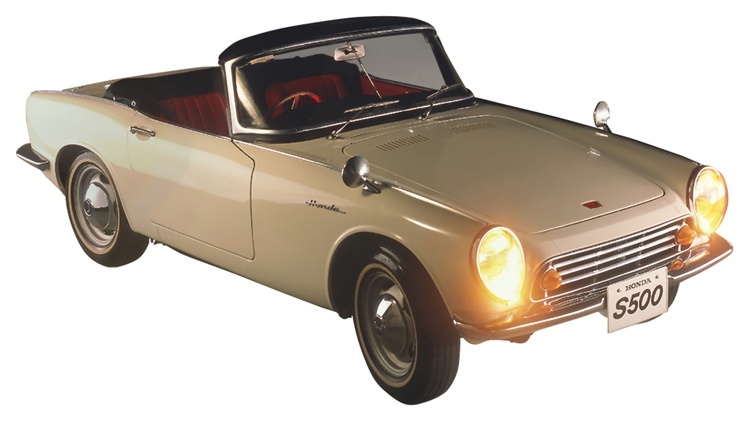 Honda offered the S500 for the 1963–’64 model years, but the idea didn’t die: the S600 and then S800 took production through 1970, adding more displacement plus, eventually, an available coupe body. Of all the models offered in the range, the S600 is the most common–relatively speaking, of course. PLUSES: Technically superior to the competition. Funky, early-Japanese styling. Great engine. Is the Japanese collector market poised for another burst? MINUSES: Parts availability is tough. These are not fast cars, and the S500 and S600 feature an unconventional chain drive. COMMON EQUIVALENT: Triumph Spitfire, MG Midget or Fiat 850. FINAL WORDS: These Hondas are the super-cool alternative to the usual British and Italian suspects. PRICE OF OWNERSHIP: Good ones are selling for $15,000–25,000. PLUSES: Tons of trunk space, robust construction and opentop motoring without the usual associated headaches. The five-speed transmission delivers terrific highway cruising. MINUSES: The mid-engine layout created an awkward shift linkage, while that VW engine is rather low-revving. The 914 can also rust, especially around the battery box. COMMON EQUIVALENT: MGB, Triumph TR6, Alfa Romeo Spider. Maybe a Porsche 912. 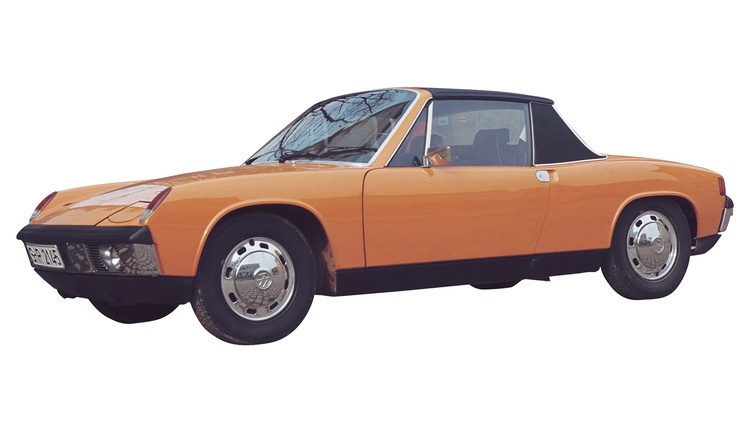 FINAL WORDS: Even though 911 prices have stabilized a tad, the 914 still offers a great, low-cost alternative. We’d recommend a 2.0-liter car. Bonus points for hounds tooth seat inserts and a ‘70s-tastic colorway. Join Free Join our community to easily find more Alfa Romeo, BMW, Daimler, Honda, Kit Car & Replica, Mercedes-Benz, Porsche, Sunbeam, Triumph and TVR articles. WHAT IS IT? 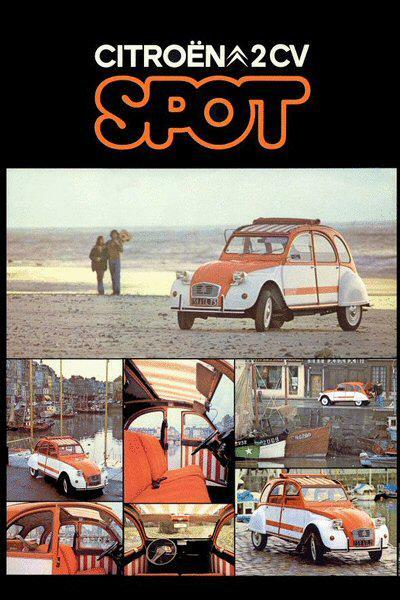 France's answer to the VW Beetle. Air cooled front-mounted boxer engine, long travel suspension linking the front and back wheels with horizontally mounted shocks. FINAL WORDS: Cheap fun and smiles.